It’s an experience. It’s meaningful. Luang Namtha is a special town for you to visit during your travels in Laos. Luang Namtha doesn’t have the most scenic sightseeing spots like the Kuang Si Waterfall in Luang Prabang, Laos, but people don’t come here to take pictures. People come here for an authentic experience of the Laotian culture. 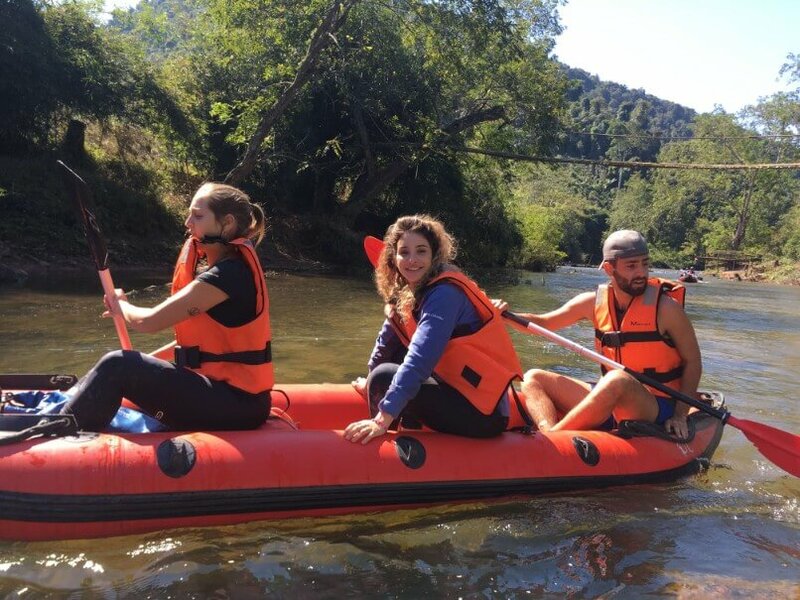 Luang Namtha is a place where you get to explore the untouched nature through jungle trekking, visiting minority villages, kayaking in the Namha National Protected Area or cycling along the Luang Namtha Valley. You will discover the beauty and the authenticity of Laos not through your phone camera, but through your eyes. 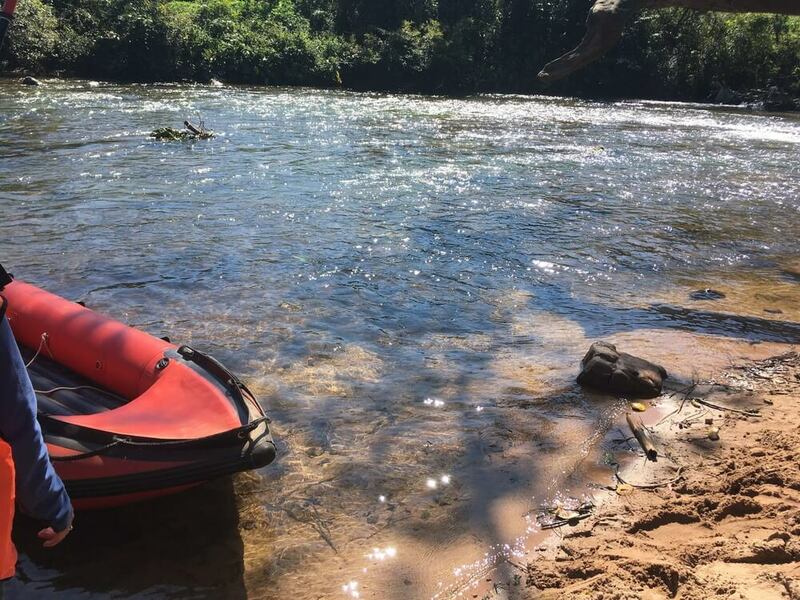 ​Disconnect from the world for a few days and tap into the protected jungle of Laos. During jungle trekking, the guides will educate you on different plants along the way. 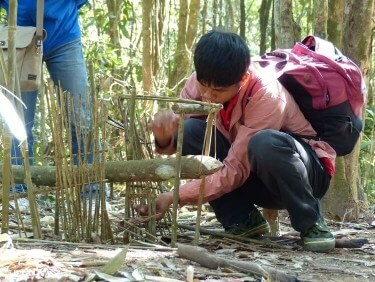 You will witness how to make a meal using natural resources such as bamboo in the jungle (Say hi to jungle-style lunches). Paddle through the rapids of Namha River surrounded by dense tropical forests. Visit minority villages or spend a night at a village eco-lodge or homestay. Yes, you will be living among villagers and experience their lifestyles. Slow down and take a short walk around the village to appreciate the simplicity of life. Yes, you will see the children from the village roam around freely. 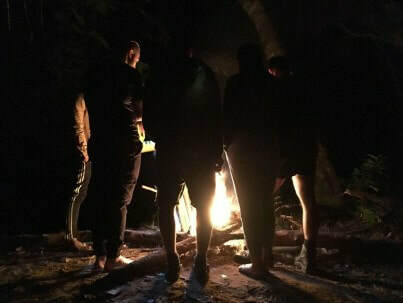 Yes, you will see families gather around the fire and chat at night or early in the morning. Yes, you will see animals wander around. This is something that you can’t experience from looking at pictures. Come experience the nature and the authentic Laos for yourself. 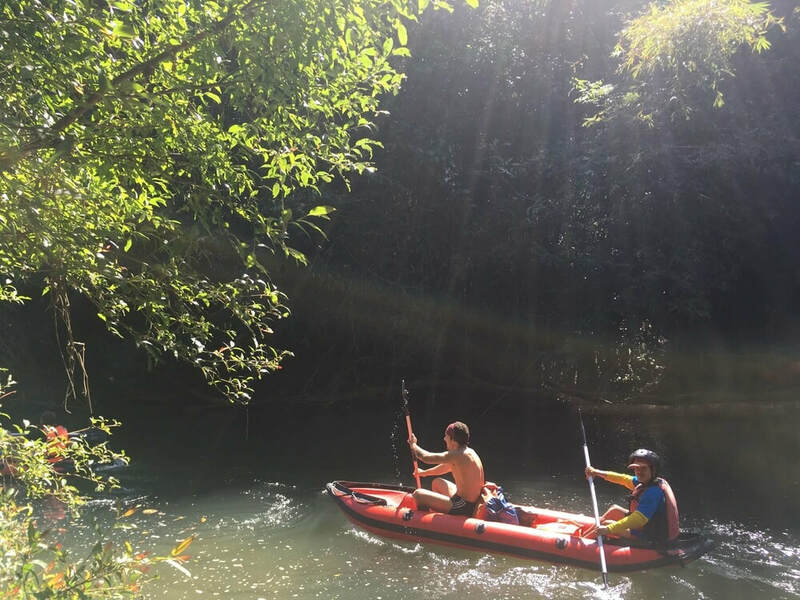 ﻿Hike, paddle and cycle to explore the undisturbed ecosystem of Nam Ha National Protected Area.﻿﻿ Nam Ha NPA boasts magnificent jungle canopies, exotic wildlife and the thrilling rapids of the Nam Ha & Nam Tha rivers. 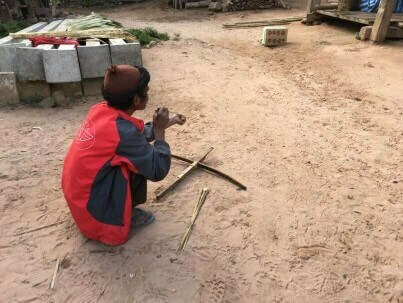 Live and breathe the traditional Laotian way of life with overnight homestays in minority villages. Learn the ancient art of jungle survival and bushcraft from our local and highly skilled English-speaking guides. ​You'll be trekking in the tropical rainforest of Nam Ha National Protected Area, home to a variety of ethnic groups. 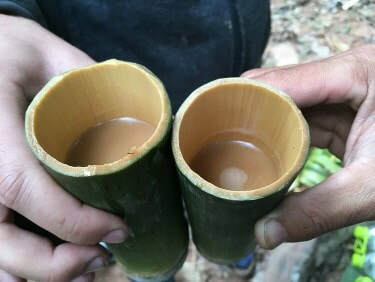 Explore the deep jungle, hike the hilly trails, visit the minority villages and taste Laotian cuisine cooked using natural resources such as bamboo from the jungle. Okay, so how much does a tour cost? It depends on the tour and the number of people in the tour group. The more people in a group, the lower the rate for you. But we want to be transparent with you. To give you an idea, if you're interested in a 1 day trek, the price ranges from $26/person (USD) for 8+ Pax to $117/person for 1 Pax (USD). 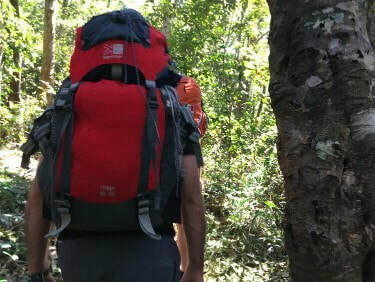 ​If you're interested in the 2 day combo tour (1 day trekking + 1 day kayaking + 1 night with jungle camp / eco lodge / homestay) , the price ranges from $57/person (USD) for 8+ Pax to $194/person for 1 Pax (USD). ​Please feel free to contact us to find out more about a tour, the tour availability and the number of people who already signed up for the tour to get an accurate pricing. We carefully select our four local tour guides among a pool of candidates. This is done to make sure you would receive the highest quality of service & treatment while you're in the wilderness. Each guide went through rigorous training to ensure your safety in the jungle and they will take care of you every step of the way. Each one of them not only possesses jungle survival skills such as being familiar with the jungle trails & plants, navigation through the shallow rapids, and cooking in the jungle as a master jungle chef, but each also has uniquely fun personality! Your booking with us helps ensure that the minorities of Namha National Protected Area have the means to preserve their culture and the surrounding natural ecosystem. 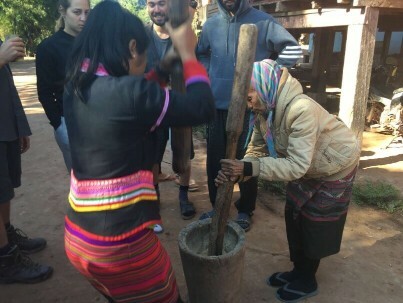 Discovering Laos is directly involved in community-based ecotourism; ﻿﻿Sustainable tourism and community development is our mission. 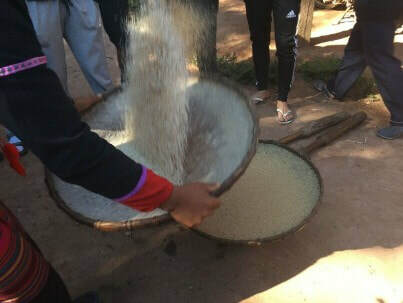 ​In Discovering Laos, we build solid relationships with the villagers teaching them the ethos of eco-tourism to protect the national park and wildlife species. 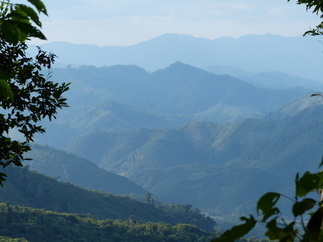 protection and preservation of the Namha NPA. Your booking provides a financial contribution to each village visited on every tour. The villagers use this contribution towards the maintenance and improvement of their schools and homes as well as the surrounding trails and pathways. Discovering Laos employs local villagers as guides and tuk-tuk drivers on every tour, providing a stable income for their families. 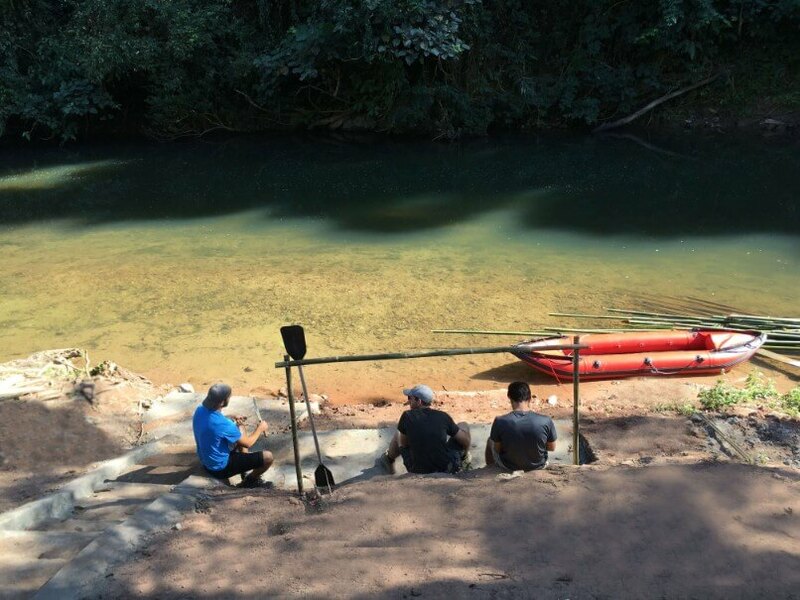 Luang Namtha in northern Laos is the basecamp for outstanding ecotours in a stunningly beautiful part of the world that is fast gaining international recognition. Our city is leading the way towards a sustainable future with its green tourism projects. If you're looking for an exhilarating mix of adventure, culture and wild nature, then join us for an unforgettable experience deep into Namha National Protected Area. ​Simply Contact us or meet our friendly staff at the Discovering Laos office! Check our latest reviews or leave us a comment.